When I wrote about “The Autograph Card,” I was delighted to find that I was conversing with other collectors. Not just slick marketers who knew a few autograph buzzwords, but REAL collectors! “Tom… Great question, as you could fill several blog entries on the debate of Sharpie vs Staedtler. Let me start by saying I have used BOTH pens for ages (25+ years of Sharpies, and 15+ for Staedtlers). Much like the ‘Corn vs Flour Tortilla’ debate, there is no clear winner. Both Pens have their places in the hobby (and in every ‘graphers pocket). Our website sells Staedtlers as a service to our customers, as they are not a high profit item, but so many people have told us they had trouble finding them, that we order them direct from Staedtler. Staedtler Lumocolor (F- Fine Point Blue) is our recommended pen, and we feel with a signer that takes his time (see pros/cons below) it looks Awesome! Our cards were designed to look good, no matter what kind of pen you use, perfect for those random TTM guys who like to use ‘whatever pen is closest’. Below, I will try and point out the pros/con of the two, and why I always carry both with me. Dry super fast. Perfect to prevent smudging when you hand a player a ‘stack’ of cards. Staedtler’s ink tends to ‘take’ better to glossy cards (IE: Bowman Chrome) without ‘bubbling’ Back in the late 90’s/early 2000’s the ink tended to ‘sit on top’ of the gloss and would tend to ‘chip off’ the card. But in recent years, something changed with Bowman Chrome (The ‘gloss’/coating changed) and I have not had this problem in years. They are more expensive, and harder to find. Staedtler (a German Compnay) shut down their only U.S. office about 2 years ago, forcing anyone in the U.S. to purchase from a Staedtler office overseas, thus adding to the cost. There are ‘rumors’ of knock-off pens coming out of Asia that are cheaper (both in cost and assumed quality). 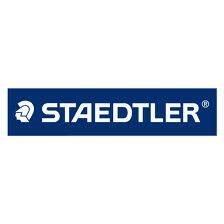 We only purchase direct from Staedtler. One negative is the ‘vibe’ of some players when they see ‘the fancy German pens’ and can be snippy (like when they see a binder with a page of 9 of the same card on it). If the player is ‘taking his time’ to sign, and/or has a good writing surface (table, binder, roof of dugout, etc) I will use a Staedtler. Old faithful. Perfect when you have a ‘scribbler’. Example: Manny Machado (Orioles prospect) sometimes signs just “M3” on items. So if all they are gonna write is a quick scribble, I prefer it to be BOLDER, and the sharpie looks better. I also prefer a Sharpie if the player is ‘rushed’. When a player is signing while walking/running to the bus, etc I use Sharpie. I also keep a sharpie on me so when a kid next to me asks to borrow my pen to have a player sign his (insert pen-killing item here: Hat, T-Shirt, Mini-Bat, etc) I can lend him the Sharpie and not have the player kill a $3 Staedtler on some kids T-shirt. We have all had the experience of graphing on ‘bat day’ (or similar give-away day) and that’s why I always carry a pocket full of pens with me. Sharpies do tend to ‘bubble’ on some high gloss cards (2010 Topps, etc). The blue ink can be ‘inconsistent’ in boldness based on the age of the sharpie (not as dark over time, if the pen has aged). Thanks again, Brian. Love those cards! Coming Tuesday: Saying goodbye to a former pitcher after just 47 years. I just can’t resist. As far as I’m concerned the black vs blue debate should come down to the same issue the card designers have to face, color composition. Why would you possibly want a blue sharpie against a blue background like many of the 2011 Topps heritage cards? The black gives it balance and pops. Other times the blue is going to show bold and clearest on a nice hue of green on home white uniforms and the black would be too heavy. I think it’s really just silly to live and die by a lone color principle. Each picture is an individual that gets a unique signature, so it should be respected as such and given the color best suited for it. If you’re collecting for YOURSELF, get it the way YOU like. I have used both for pens for many years, the card companies, panini and upper deck, send staedtlers for signing and they do the best on cards which are not always made for singing, too glossy. but they have have changed the printing in recent years. Sharpies are great for standby use and have a broader tip for the scribblers. The Staedtler is better for those who have a really nice intricate signature. I have also noticed in the shop, the flourescent lights are the worst for both of these pens. the blue starts turning very dark in a relative short period of time. i constantly move things around.